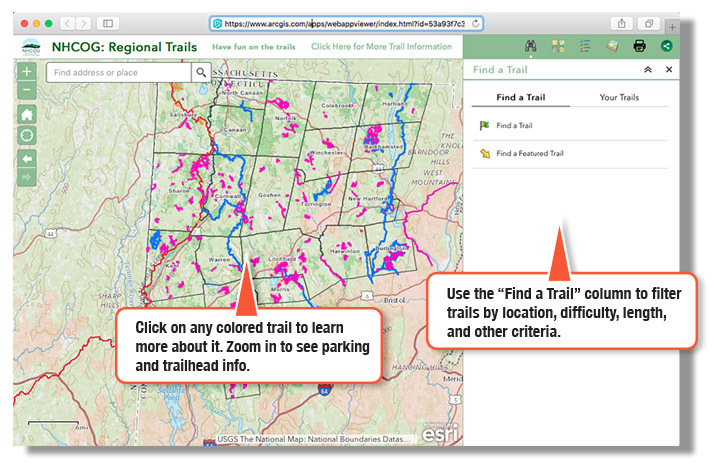 Explore the Northwest Corner of Connecticut with this new interactive trails map/app! 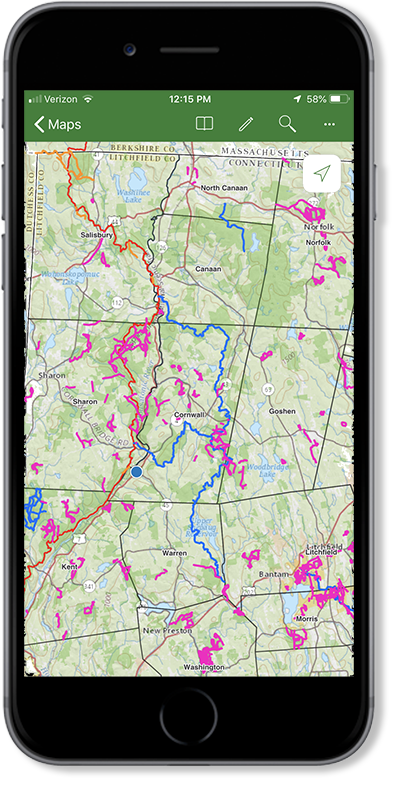 HVA and our Litchfield Hills Greenprint Collaborative recently wrapped up a contract with the Northwest Hills Council of Governments (NHCOG) to create an interactive trails map for the region. 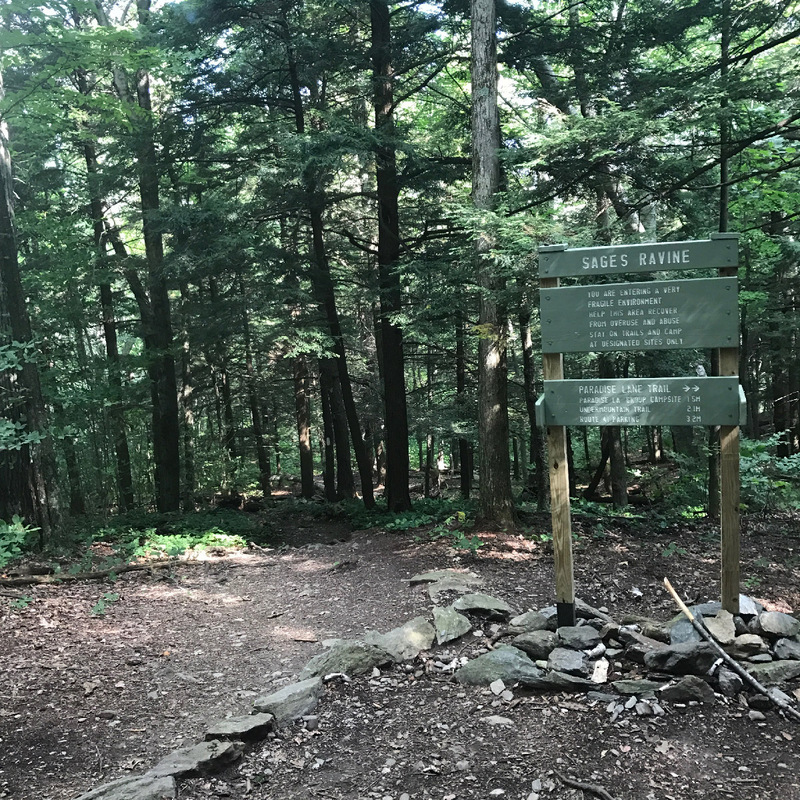 The featured trails include all the well-known destinations, but the highlights are the hidden gems of public land and land trust trails that have never been compiled before in a single resource! Ready to hit the trails? Let’s go! The web browser version is best for researching trails in advance and selecting your destinations based on trail length, difficulty, location and more! Go to the online map! Watch the video tutorial to see even more cool functions! Since most of the trails are in areas with limited or no cell coverage, you can take advantage of your phone’s GPS capabilities to keep track of your progress on your chosen trail in real time using the “ESRI Explorer for ArcGIS” app, which is available for iPhones, Android or Google devices. Once you’ve downloaded and opened the app, click “Continue Without Signing In” and then search “Northwest Hills COG Map Viewer.” For best results, allow your device to access your location when using the app. That’s it! Now you’re ready to start exploring! Remember… Always Be Trail Smart! Let someone know where you’re going and when you expect to be back. Don’t rely on technology! Bring a printed map and compass on unfamiliar trails (and be sure you know how to use them). Pack enough food and water. Do not count on your cell phone service. Choose a trail that matches the abilities of every member in your group. Bring a whistle, extra cell phone charger, and a small first aid kit. Plan your hike around abilities, daylight, and experience. While this recreational trails map is the most complete and comprehensive ever compiled within the 21 town service area of the NHCOG (Northwest Hills Council of Governments), it may not include every trail that exists and is open to the public. Certain trails were omitted from this report at the request of a NHCOG member or the owner of the trail. We also omitted trails that have been without management for such a long period that they are difficult to find and may be unsafe to use. We did not intentionally include any informal trails on State or water company lands constructed by the public without official sanction. Finally, we are always learning of new trails in the region and they can easily be incorporated in the online map viewer in a future update. 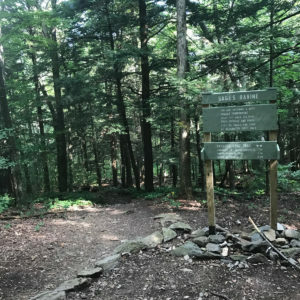 Neither HVA nor the NHCOG make any representation as to local trail conditions, signage, and current level of stewardship or degree of difficulty. The public use these trails at their own risk. Some trails are located on private land. Users are asked to respect private property rights and remain on the marked trails, not following unmarked or unofficial trails that may be encountered while on one of the trail sections included in this project and its work products. Please contact the property managers for up to date trail conditions. None of the trails indicated in this map were surveyed with the degree of accuracy necessary for precise location or conveyance. Locations should be considered close but approximate. The information contained on this website is not to be considered a guide. Instead, it is available so that you may have a general idea of what to expect on the hikes listed on this site. We take no responsibility, nor assume any liability for inaccuracies, errors, omission, or incompleteness of any information. By using this website, you agree to indemnify and hold harmless NHCOG, the Consultant, and affiliates with respect to any claims, damages, losses, liabilities, and all costs and expenses of defense, including but not limited to attorneys’ fees, resulting directly or indirectly from a claim by a third party that arises in connection with your use of this website. All forms of outdoor recreation have a higher level of risk than most ordinary activities, and therefore can be potentially hazardous and/or dangerous. This includes hiking and backpacking. Risk is always a factor, especially when weather is adverse or unpredictable, or when unforeseen events or conditions create a hazardous condition and/or lead to injury or death.